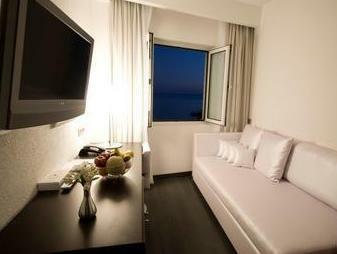 ﻿ Hotel Astoria Budva. JIMAT di Agoda.com! Menawarkan kawasan pantai peribadi, Hotel Astoria terletak di lokasi yang unik dan menarik di jalan utama bandar lama Budva. Bangunan zaman pertengahan ini menempatkan hotel digabungkan dengan reka bentuk moden dan nada lembut, mewujudkan suasana yang hangat dan menarik. 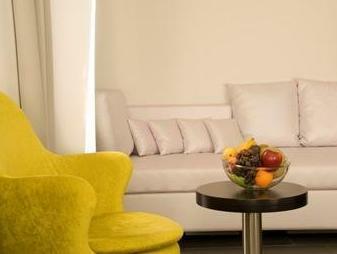 Hotel Astoria mempunyai beberapa suite dan bilik double, semuanya dilengkapi dengan mewah. Ia adalah moden dan dilengkapi dengan sentuhan hiasan kontemporari. Pemindahan shuttle ke hotel boleh disediakan atas permintaan dan bayaran akan dikenakan. Kerusi berjemur dan payung di pantai peribadi disediakan semasa musim panas, dengan bayaran tambahan. It was fantastic, staff were very helpful, location was excellent, breakfast was the best. Fantastic, really enjoyed it. Hotel came highly recommended and we will definitely be back. We stayed in the 2 bed suite which was absolutely excellent. Ate a couple of times in the restaurant and the food was absolutely wonderful. Great menu with photos and description of exactly what you are getting. Staff were very helpful and charming. Breakfast was great, and you could eat either in the restaurant, on the terrace or on the beach. All in all I would suggest staying here and if I return to Budva, would definately stay here again. The staff were great, the location couldnt have been better. The late booking worked very well. We booked over agoda before 12 the same day. we loved our stay at the astoria. 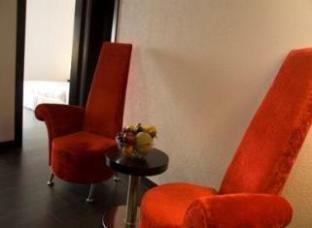 the staff were fantastic and it has a great location, just in the old town. the verandah is amazing, we spent many an hour with a glass of prosecco watching the world go by! 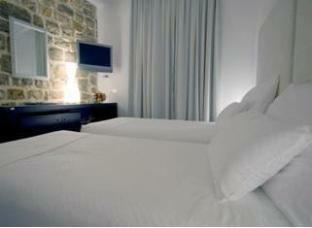 astoria is the most "luxurious" hotel in budva town and one of two in old budva. hotel pretends to be boutique with some design elements, impressive "water wall" at entrance etc - but this is rather 3-4 starts hotels as it lack some style and comfort. rooms are rather small and steamy with inperfect air circulation - and if your room faces the street it can be noisy in the evening. in the same time, staff is friendly and professional, location is superb (as soon as you want to have romantic stay in small stary grad) with close proximity to restaurants, marina, beaches. excellent breackfast in a cafe downstairs. so worth to stay especially in low season when the place is not overcrowded. service was really amazing. they know what to do before you even ask. extremely helpful staff and theyre constantly smiling. 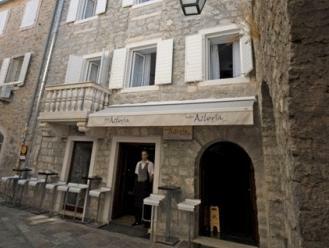 especially liked astoria in kotor where i stayed for one night. the shower in our suite had a major problem in terms of placement which led to the bathroom floor being wet due to water leakage from the shower. this was only in budva. kotor shower was great! Stayed in astoria hotels in both kotor and budva. Loved kotor hotel more the budva location was also very good and service as well!